We had a quiet Easter. We stayed home because we really didn't have the money to go out for a lunch or drinks, but we had a nice day. While I edited stories and put them up on my archive on Fairie, DH watched The Masters golf tournament and the baseball game while playing Lord of the Rings Online. I even joined him in an orc killing spree later in the afternoon to continue working on increasing a trait that my hunter wants to achieve. We treated ourselves to Bar-B-Qued ribs for dinner while watching Bubba Watson win the Masters with a shoot-out on the 10th. It was a wonderful tournament. 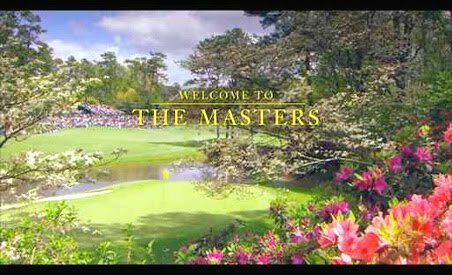 I love watching the Masters, it's always the beginning of Spring for me. Usually I look out my windows and see a snowy and monocolored environment that I'm still dealing with. But not this year. This year our spring came so early that our grass already needs mowing. How wonderful. 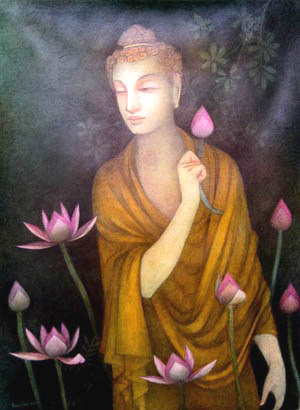 And Sunday, amidst all the Easter celebration, I didn't want to lose sight of the fact that it was also the date of the Buddha's birth. Since Easter is a moveable holiday it isn't too often that two major religions celebrate life-changing experiences of their titular heads, so I thought the fact that the Christians were celebrating the death and resurrection of Christ while the Buddhists were acknowledging the birth of the Buddha was an interesting juxtaposition. Walk in beauty today. Current Location: In front of my computer, of course! I have a very dear friend who lives in SJ, but although she has visited me several times, I have never made it to her. The last time I was in SF she drove up with another friend to join me for an evening.